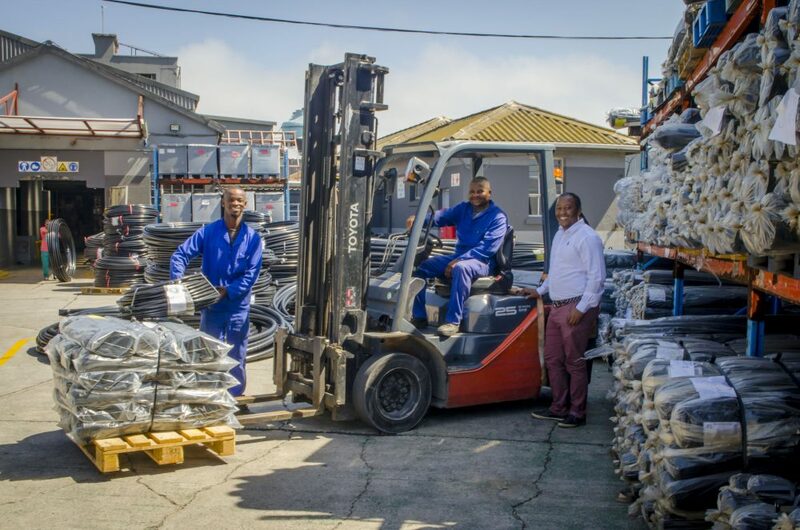 In a boost for 80 Nelson Mandela Bay families, one of the Eastern Cape’s longest-standing companies has finalised an empowerment deal with the Industrial Development Corporation (IDC) – to the benefit of its 80-strong labour force which now ranks as a shareholder. The company’s recycling of plastic waste sees the waste converted into pellets, which in turn are melted down and used to manufacture new plastic products. Rhino Manufacturing also manufactures and distributes high-quality film for the construction and agricultural sector, irrigation piping for the farming sector, high-density polymer pressure pipes, as well as industrial packaging.